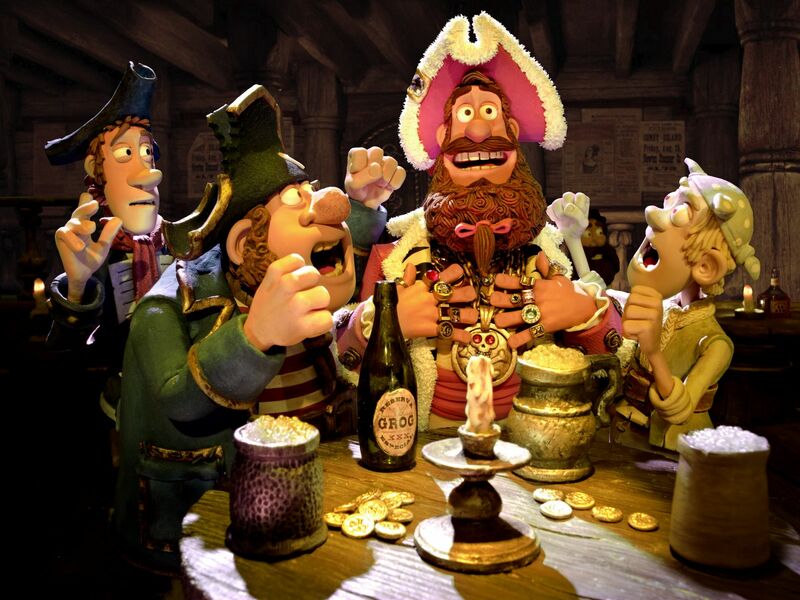 Brown Bag Films CEO Cathal Gaffney recently published a piece in the Irish Independent with the terribly misleading title of “Giving Up Yer Aul Sins of Piracy May Protect Irish Jobs“. Far from being focused on “piracy” (although we’ll get to that in a minute), it’s a superb overview of the Irish animation landscape and how much it currently means to the Irish economy. Go read it now, I’ll wait. For a long time there was a stigma of sorts around Irish animation being accepted in a serious way by Irish people themselves, and Cathal’s piece attempts to put paid to the idea that animation is a kiddie thing; a fun job with suitably “fun” revenues and rewards. Far from it, the Irish animation industry has grown from nothing to industry powerhouse through the smart use of international partners, tax incentives and their own creative talents. While the article may not have a whole lot of meaning for readers abroad, if you want to know how Irish animation has gotten to where it is, there is no better comprehensive explanation. Now, back to the “piracy” thing. Piracy remains a real problem in Ireland and a threat to the growth of these companies. Piracy (of content and software) is not considered a real crime in Ireland but I wonder if the people who feel a sense of entitlement towards pirated content would feel the same if they knew it could cost Irish jobs. I believe the futile attempts at collecting the TV licences should evolve to see a tax on the ISPs addressing the wholesale theft of content. It’s the only one in the entire article that deals with the subject and even them it seems tacked on (if you read the article you’ll see why the title is misleading). The first question is whether “piracy” is a real problem in Ireland and whether it does threaten these companies. The country is only 4 million people and has a broadband penetration rate that trails the EU average quite significantly. Surely the UK market with 60 million people, a far higher percentage of people with broadband access, a common language and only a short plane ride away would be the bigger worry, no? Naturally the article isn’t aimed at British readers, but it seems unfair to pin the blame on groups who are likely to account for only a very small proportion of the viewing audience of Irish animation products. We’ll come back to the sense of entitlement later, but the matter of how people would feel about “piracy” costing jobs is a delicate yet complex aspect to the whole problem. Unfortunately there exists a disconnect between what people view in their living rooms and how that content is actually produced. Yes, people who know people in the industry will be aware, but for everyone else, they are unlikely to know or even care where the content is produced. This is especially true in Ireland, where a significant chunk of televised entertainment is imported from abroad. To further complex matters is the inevitable discrimination that exists when consumers are faced with a choice. In the case of televised content, is choosing to watch a British-made TV show considered wrong because it is at the expense of an Irish show produced with Irish labour? To extend the concept further, what if I get my coffee at Starbucks instead of the Irish-owned Insomnia Coffee or better yet, the local independent cafe? Am I a bad person for choosing the international chain over the national one? If I choose the national chain, I’m actively denying the independent cafe revenue. And how do American animators feel about a show being broadcast in their country but is made in another? Since it’s taking a spot that could be occupied by an American show, that has a direct impact on the American animation industry and employment therein. Who’s to say which country’s industry takes priority? It’s an economic concept that is extremely difficult for many people to grasp, let alone for companies and governments to manage. Coming back to the entitlement issue; it’s very, very important to distinguish between “entitlement” and “demand”. Entitlement is something that is something that people feel they are owed, such as clean air. No-one should feel entitled to free content. We have become accustomed to it, sure, but that vast majority of consumers have been proven time and again to be willing to pay for content. Now whether their “demand” for content is being met is an entirely different matter. I freely admit that I downloaded the superb Nickelodeon show, The Legend of Korra from the good ol’ Pirate Bay but hear me out before you judge me. Did I try to watch it online legally? Yes. I watched the first episode on Nick.com, fell in love with the concept and subsequently went back and watched the original Avatar:The Last Airbender series on Netflix. By the time I was finished with that, Nick had pulled the first couple of episodes of Korra from their website. So now I’m in a pickle. I can’t jump into the series halfway through, I’m not getting cable for just one show, and it will be quite literally years before the show is available on DVD or Netflix. So what are my options here? How is Nickelodeon catering to my demands as a consumer? How are they extracting revenue from this loyal viewer? Are they favouring consumers over cable companies? The simple answer is that they are not on all three counts. I will in all likelihood purchase the DVDs when they are eventually released, but would I even consider doing so until I have seen the series? Probably not; it’s the same reason I declined to purchase the Avatar DVDs for a long time. I didn’t think I liked the show until I actually watched it. So I downloaded Korra, I watched the episodes in glorious 1080p HD resolution as opposed to a compression-plagued Flash stream and I’m as big of a fan of the show as ever. Am I “entitled” to view the show? No. Is Nickelodeon “entitled” to my money for doing so? Yes! But only if they make it clear and obvious to me that they want it! Lastly, Cathal raises the idea of a flat tax on ISPs to account for illegal downloading. (We’ll skip over the concept of the TV license; Americans would storm the Capitol if congress attempted to impose a tax on simply owning a TV). Besides the fact that collection agencies have been shown to act against artist’s interests again and again and again (that last one is just plain mean), it simply goes against basic capitalistic tendencies to forcefully divert money from the public to special interests. The vast majority of internet users don’t engage in copyright infringement, nor do they engage with criminal elements who are actively profiting off stolen content. (That’s another important distinction; consumers who simply want to see and/or share the entertainment they love versus people who actively want to profit from it). It’s comparable to taxing car owners to offset the business that UPS and FedEx siphon away from the Post Office. Ireland isn’t France, if the Post Office has a problem, they need to compete. Be open later, deliver letters on time, offer services that UPS and Fed Ex don’t. In other words cater to consumer demand! All the sectors of the creative economy are currently going though the wringer when it comes to selling their wares, but consumers are still the same. They want to see things, they want to read things, and they want (and will) pay for it. Will the fragmentation of the market affect the revenues to be earned? Absolutely, but there is little to be gained by simply pointing the finger at “pirates” and making everyone pay for something they might not buy in the first place. What are your thoughts? Please share them in the comments below.